Whenever I hear that song being played, I am filled with Christmas cheer. My heart smiles. My eyes twinkle. I become that giddy child waiting for Christmas day. As a child, although we did not have the grandest of feasts, for as long as my family was together, Christmas was merrier. Five years ago, Christmas took a different meaning for me. It was the year I did not make a fuss about Christmas. My father was bed-ridden for 5 months. I saw his frail body being eaten by cancer day after day. I was numb to the Christmas spirit around me. There was little I could do for Papa. I just hugged him everyday. Hugging meant pressing my face to his face as he could no longer wrap me in his embrace. On Christmas day, I greeted him with a loud cheer. He smiled back acknowledging my greeting. And that was more than I could ask for. My father died the day after Christmas. It was his way of giving me my Christmas back. 1. Feel the spirit of Christmas. I do this by putting up my tree. Having a tree changes the mood of the house. This is a special tree because my mama and I bought this together with my own money. It has been 14 years since we bought the tree. My mother had long gone and the tree still looks good. You do not have to buy a tree to feel the spirit of Christmas. Sometimes, listening to Christmas Carols will already fill the home with holiday joy. You can also spend time at a park where twinkling lights make the season more festive. Malls have stepped up their game. 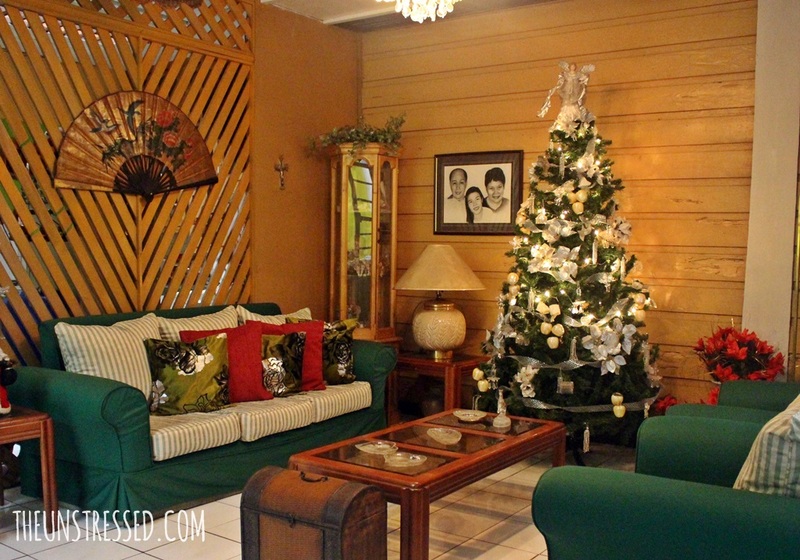 There areas for families to enjoy the Christmas season. 2. Share your blessings. You might be surprised that it takes little to make another person happy. It does not have to be a grand gesture. You may share your blessings with your loved ones. However, they say the best way to share your blessings is doing something for someone who cannot repay you in kind. You get repaid with their prayers and well-wishes. I am not really the kindest person around. I can be selfish but I have to admit that the selfish me can also see the wonders of being able to share my blessings to others. 3. Spend time with family and friends. My nephew is already 3 and I plan to spend some time with him this Christmas. My aunt and uncle will be spending their Christmas in Cebu but they will be back in the afternoon of December 25 so we still have a chance to celebrate Christmas together. I am compiling easy-to-make recipes so that I can still have a wonderful time with my family without slaving in the kitchen. I have tested one of such recipe. 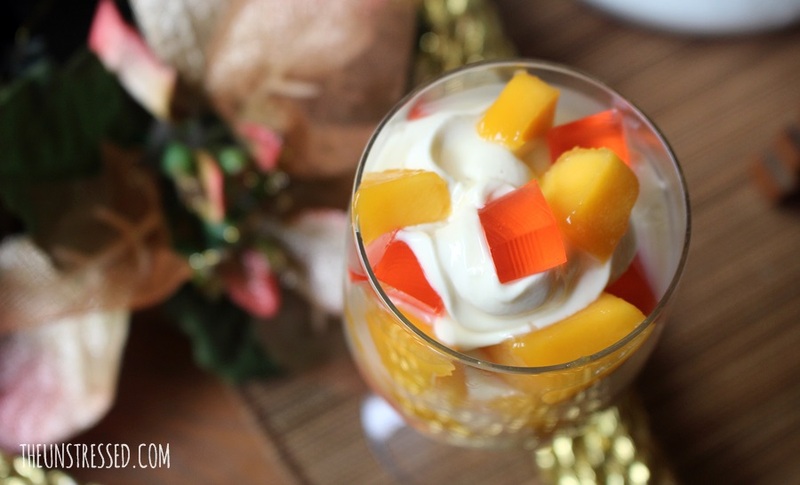 You only need cubed gulaman, cream, condensed milk and cubed mangoes. Layer the ingredients. Put them in a nice glass and voila! These ingredients are readily available in the supermarket. This year, a number of my friends will be home so there will be a lot of catching up do. For sure, there will be lots of laughter till our bellies ache. 4. Reward myself. Although I looked like I have not worked hard this year, I did. The best reward I can give myself is rest. I am dreaming on resting my head on a soft pillow while curled up reading a book. Maybe I’ll get a tub of ice cream and have a movie marathon. This is just me. You can reward yourself with that jacket you have been eyeing for a long time, that gadget to get in touch with family or that massage chair to ease those back pains for working hard. It is okay to treat yourself to something you greatly deserve. 5. Remember the reason for the season. JESUS. Christmas is the season of advent. Advent means coming. We prepare ourselves for the coming of Jesus. As Christians, it is a time to reflect on our lives and make changes in order to be ready for Jesus Christ. We do this by emulating how Jesus lives while He was here on earth (i.e. a humble and obedient servant) and by following His commandments. We should really do this not only during Christmas but every day of our lives. This is a part of my life where I need to improve on. God never faltered on me yet the sinner that I am easily forgets God’s greatness. Each of us may have different ways in celebrating this wonderful time of the year. SM Supermalls have their way of celebrating this merry season. Drenched in the spirit of love, family, sharing and giving, SM Supermalls show us how #MerrySMChristmas begins. Adorable Cheska and Kendra Kramer and the delightful Elevator girl, Cheridel Alejandrino star in this short video. 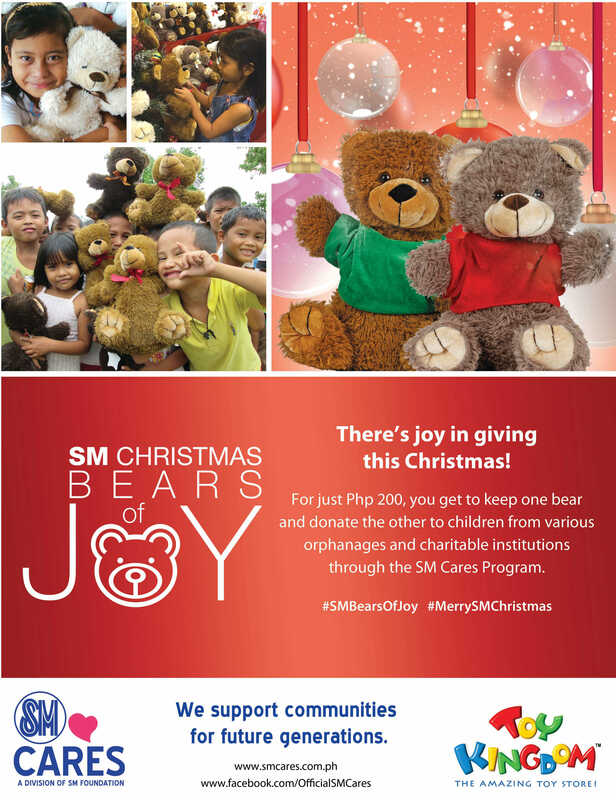 If you want to make someone happy this Christmas and you do not know how, why not give an SM Cares’ Bear of Joy? SM Supermalls have a lot in store for you this season. Visit http://bit.ly/MerrySMChristmas for more details on their various #MerrySMChristmas events. 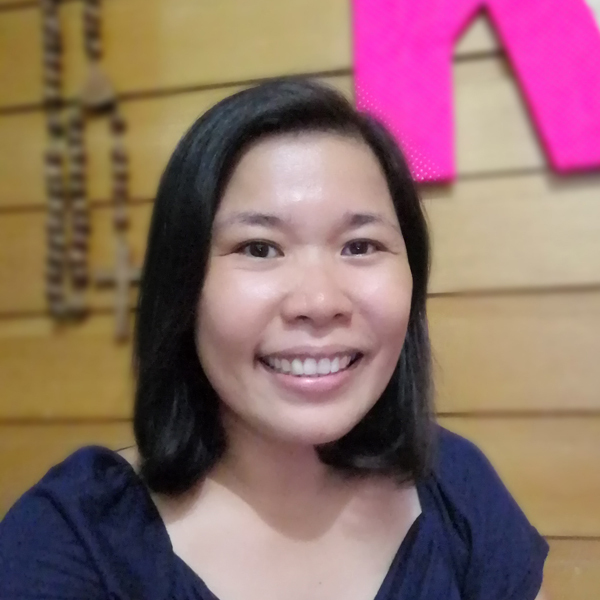 **This blog post is an entry to Nuffnang's blogger contest. This was a fun read. What font do you have on your blog? I really like it! Yes, we deserve to pamper ourselves, Donna! I am touched with your personal experience on how you cheered up your bed-ridden father until he gave up his life. Christmas is not too serious in our family with I was a kid for I belong a poor family, just enough to subsist for the whole year round. But deep in my heart, I wanted to share to others how happy I am when Christmastime comes. For me, Christmas is when we’re together, eating, making fun, praying and going to Church as a family. Now I have my own family. What I have failed to achieve from my parents’ custody, I have to do it with my very supportive wife and lovely children. Christmas is indeed most meaningful when spent with family. Merry Christmas, Sir! Merry Christmas to you! I love the look of your house, so festive! Thanks, Peachy! Merry Christmas, too! I really love Christmas time! spend time with family and friends, thats it for what I wish. I love Christmas, not just because of the gifts, but because of all the decorations, musics, lights and the warmth of the season. the season is really special for me! Thank you for sharing your experience however personal and sad it may be. You will always be reminded of that every Christmas and I realize that is so difficult. I am glad your extended family is there for you always. A blessed Christmas to you. Have a blessed Christmas, too, Fred! Thanks Kath for this. Usually, we get too occupied with our daily lives (work, school, etc) and we subconsciously think that Christmas is just a celebration, a gift-giving season… that we forget what it’s true meaning is. I’m sorry to hear of your lost 5 yrs ago. It’s hard to see a loved one being cancer stricken and slowly slipping away. I know, for I’ve been there too. Aw… Your post made me wanna go home so badly. I’ve been spending Christmas away from home for 7 years now. I wish to experience it in my home country again. These things are really great things to make the Christmas memorable. I am also planning to spend time with my family in this Christmas. Awesome! Christmas is really not about material things like what others are expecting. It’s about sharing your blessings to others and spread happiness to all! Happy Holidays! it’s a very simple gesture but can definitely help many children and community. I agree, giving back is one of the spirit of Christmas. Glad to know this. It’s great to know you got through that part of your life okay, I’m sure your dad would be happy you got your Christmas back. As for easy to make dishes, i’m trying your suggestion because it looks pretty without the extra hassle. Sometimes we forget the reason of Christmas which is Jesus. It’s nice to be festive and enjoy the season but we should take time to appreciate the role Jesus played this season. Your house looks so neat! Yes, most important is to remember Jesus, each and everyday. Love your list! I also like that buying a toy as giveaway could give to others who are less fortunate. Merry Christmas to you as well! I am touched with your father’s story. I know I am lucky to still have my mother so I will make the most out of our time together. Thank you for this reminder. By the way, I love your living room. Ang lamig sa mata. Christmas is here. Merry Christmas! 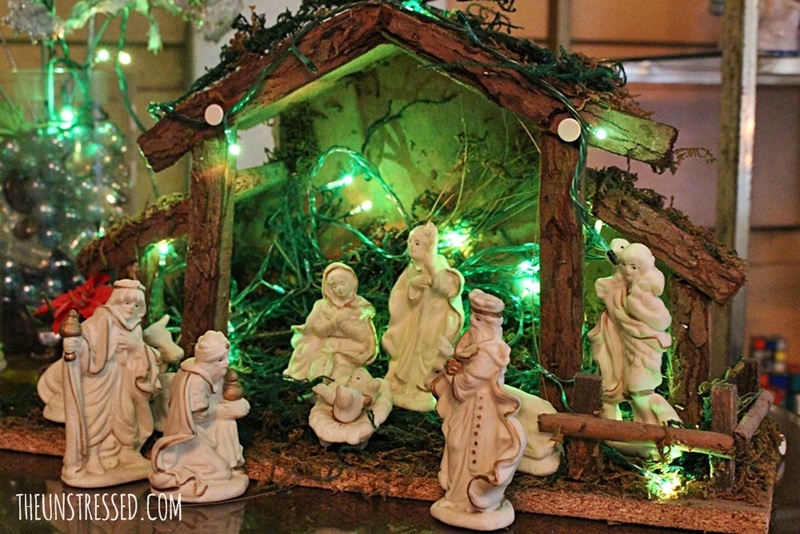 Excellent tips on making this season a joyous one. I love your remember the meaning of the season. So many have forgotten that important point. Christmas is my favorite time of the year and I love decorating my home and the Christmas tree, however celebrating gives me joy only when I am with my family and closest friends. Love your shining room and photos. With the hype happening at this time of the year, we often forget the real meaning of Christmas. And because of tradition, too much spending is also experienced at this time of the year. Continue inspiring us, Kat. Your parents must be very proud of you. Blessed Christmas too! I miss Christmas in the Philippines! I love your tree. It’s not only beautiful and elegant on the outside, but it will always be special because you and your mom bought it together. Great things that you intend to do on Christmas. Wishing you a happy Christmas. Spending time with yourself and for yourself is certainly important. Thanks for sharing this heartfelt post, it makes me appreciate me my parents (and family) all the more. Those bears look so cute!!! I collect bears and will definitely buy one for a very meaningful addition to my collection. Merry Christmas Kat! Time to reward one’s self. Ganyan gagawin ko this break! Merry Christmas, Belle! I am starting it now. Im in bed most of the day. Now I realized I haven’t been to SM except the time we went there to buy the door prizes for our party. But we must remember, Christmas is all about Christ. I could not agree more of your list on how to have a meaningful Merry Christmas! Indeed, remembering the reason for the season by sharing your blessings with loved ones and most especially, the less fortunate, will definitely make every person’s Christmas a more meaningful one. Thanks for sharing your thoughts!